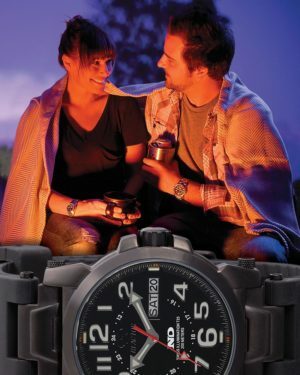 Drawing on Reactor's #1 seller, the Gamma Stainless, the titanium model comes in 40% lighter and features patented Never Dark® illumination technology, which keeps the watch visible 24/7 regardless of light. 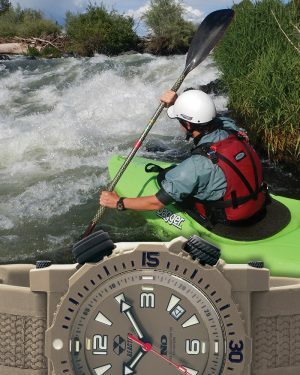 This is a no compromise sport watch that is ready for any adventure. Since our founding in 2003, Reactor has endeavored to push the limits of sport watch design. 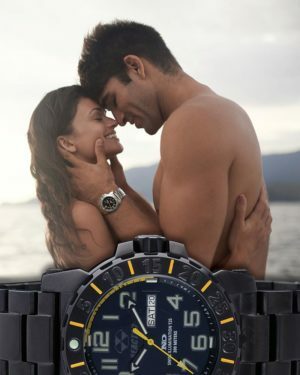 We believe we have reached a new pinnacle with Poseidon Titanium. A natural extension of the highly successful stainless model, Poseidon Ti offers all the same toughness with a 40% reduction in weight, absolute resistance to corrosion from salt water and Never Dark® technology in every model. Taking it even further, the limited edition model features a first for Reactor - a true mechanical automatic movement. 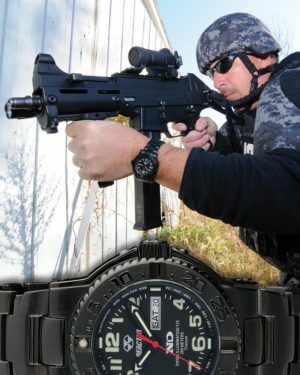 While normally too fragile for our standards, Poseidon Ti Limited is fitted with the newest mechanical movement from Japan, the incredible Miyota 9015 - the first mechanical movement to withstand our testing and remain highly accurate.Also available in a quartz model with 10-year power cell. While Reactor's original Proton set a new standard for analog world time watches, the Proton Never Dark® takes the style to a new level. For easier reading, we've simplified the dial by removing the chronograph function, and for true 24/7 visibility, we've added our patented Never Dark® illumination system. 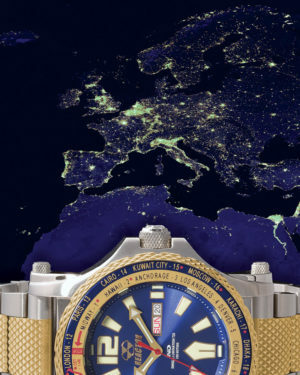 So now you can know the time anywhere, at anytime, in any light (or no light at all). It's the only watch you'll need as you travel the world.Also available in a chronograph version without Never Dark. Just like it's smaller cousin Gryphon, our new Titan series combines a 316L stainless steel core with a tough polymer shell for superior impact and water resistance. Alongside features such as Never Dark® illumination technology, and our super comfy co-molded rubber / nylon strap, is a bi-directional interior rotating bezel equipped with trituim tubes for precise timing capibility. A crown at the 2 O'Clock position engages the interior bezel for easy adjustment. Titan will basically take anything you can throw at it. Happy hunting! The follow up to Reactor's first model to feature our patented Never Dark® illumination technology, Trident 2 marries the best parts of its predecessor with a new larger 43mm case and an even more legible dial layout. 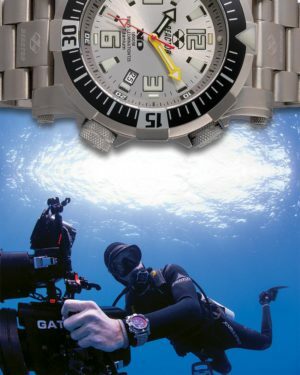 If you need one watch to do it all, Trident 2 is your best choice.Original Trident available in titanium. The first Reactor model to feature Never Dark® technology, Trident has quickly become a favorite among military, law enforcement, and outdoor sportsmen for its durability, utility and classic styling. Features all titanium construction and a 10-year lithium power cell for years of virtually maintenace-free performance.